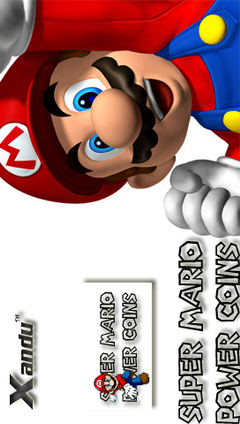 Super Mario Power Coins- The game is actually a Xandu rendition of Super Mario Power Coins (one we played is in Spanish). It may be a clone, come to think of it, except that you can jump and do other things with the O, X, and the arrow buttons, which you can't do in the original flash game. Also, you get to level up pretty quickly.